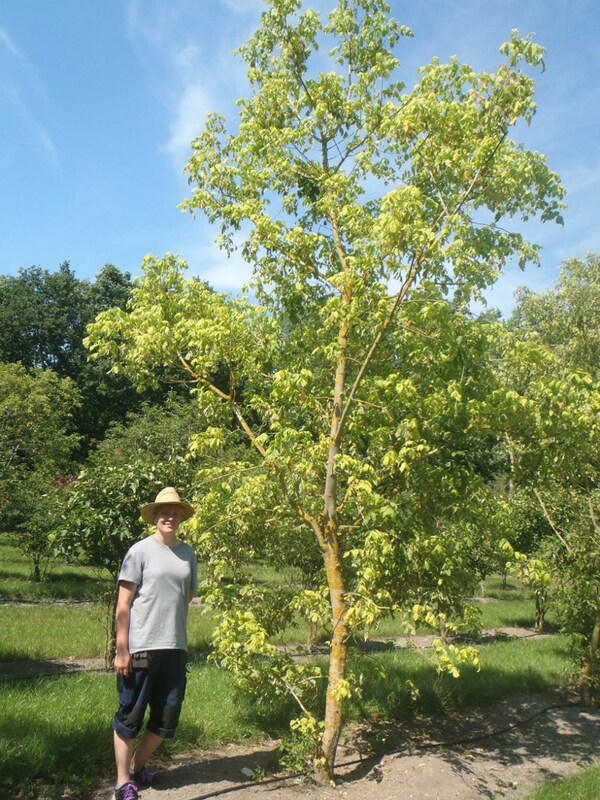 Acer negundo Aureovariegatum is a medium sized tree that is tolerant of difficult sites, growing successfully in wet or dry soil and in semi-shade. Most attractive in spring as fresh leaves open with soft catkin-like tassels. The leaves of this Variegated Box Elder are broad, green with white margins.